Abstract : Recent progress in cardiac catheterization and devices al-lowed to develop new therapies for severe cardiac diseases like arrhyth-mias and heart failure. The skills required for such interventions are still very challenging to learn, and typically acquired over several years. Vir-tual reality simulators can reduce this burden by allowing to practice such procedures without consequences on patients. In this paper, we propose the first training system dedicated to cardiac electrophysiology, includ-ing pacing and ablation procedures. 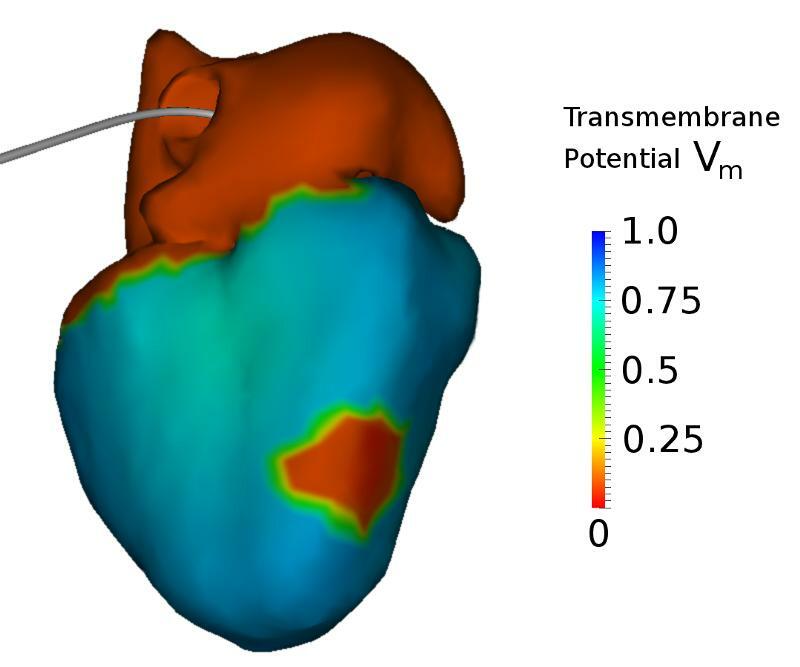 Our framework involves an efficient GPU-based electrophysiological model. Thanks to an innovative mul-tithreading approach, we reach high computational performances that allow to account for user interactions in real-time. Based on a scenario of cardiac arrhythmia, we demonstrate the ability of the user-guided simulator to navigate inside vessels and cardiac cavities with a catheter and to reproduce an ablation procedure involving: extra-cellular poten-tial measurements, endocardial surface reconstruction, electrophysiology mapping, radio-frequency (RF) ablation, as well as electrical stimulation. This works is a step towards computerized medical learning curriculum.